It's been over two decades since the bear-poking, chain-smoking iconoclast Bill Hicks passed away. The controversial comedian was only 32 years old when he died of pancreatic cancer. Known for his withering political tirades, his total damnation of religion and his hatred of superficiality and unfairness, Hicks changed the face of American comedy forever. Now Bill Hick's entire catalogue has been re-released digitally (12 albums and videotaped performances, with a DVD box set and unreleased material to follow) through all online retailers and the reminder to go back and listen to the wealth of material is immediately rewarding. That said, Hicks is not for everyone. He gets mad. Really mad. Almost every CD in the catalogue introduces you to a smart, reserved young stand-up comic, only to unravel him word by word. What remains at his centre is a twisted, raving psychopath sounding like something between an incensed preacher and Satan himself. But that's where Hicks lived, and where his infamous honesty came from. The truth — for Hicks — was an ugly thing, something that grew uglier as it got buried deeper into the American psyche. In many ways, Hicks is as honest a mirror as the United States could hope for — though he achieved more success in the United Kingdom during his lifetime than he had in his home country. He embodies the freedom, violence, love, fear and brazenness that still dominates today. It is difficult to listen to Hicks's work without pining for what he might have had to say about our current political climate. It's possible nothing's changed in his eyes — his material has lost little to none of its relevance. Out of ten releases — two of them compilation albums — the posthumous release A Rant in E Minor takes the cake. It's a classic in the eyes of Hicks fans, and an ideal introduction for those unfamiliar with his work. It's politically barbed, angry as hell, funny and — if you can get around his explosive anger — strangely touching. Relentless (1992) has one of Hicks's best routines by far. Featuring a funny but frighteningly resonant account of the first Iraq war, it's an indispensable piece of comedic political commentary. 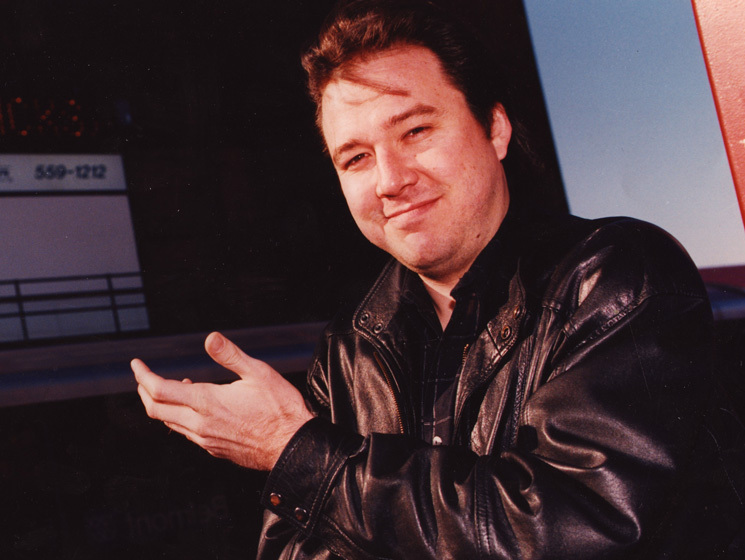 Flying Saucer Tour, while not the funniest of his records, provides a more unique window into what Bill Hicks is all about. If you really want to understand someone, get to know them on a bad day, and that's Flying Saucer Tour for Hicks. His difficulty reading the audience on this record exposes his self-conscious side like no other recording. While it has its moments, Flying Saucer Tour was probably released for that reason alone, but it makes for interesting listening — and a decent chuckle — nonetheless.